I tried to code this ReactNative tutorial by Ray Wenderlich in VS Code using this extension and it was absolutely brilliant. The UI is very clean, clutter-free with subtle yet vivid colors. As soon as I opened the starter project, it recognized that it is a ReactNative project and got it ready to go. Then I simply put a breakpoint and hit the Debug Run button and Viola! - my app started and the breakpoint was hit. 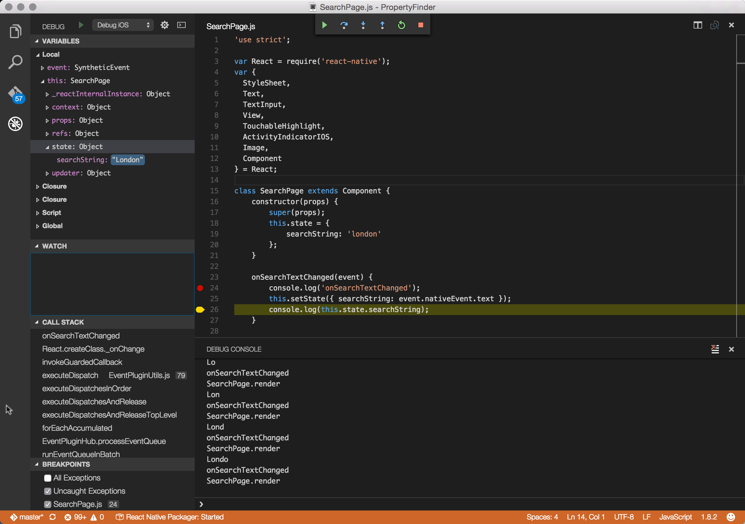 I can step through code, inspect callstack, local variables, debug console etc. all in one place!